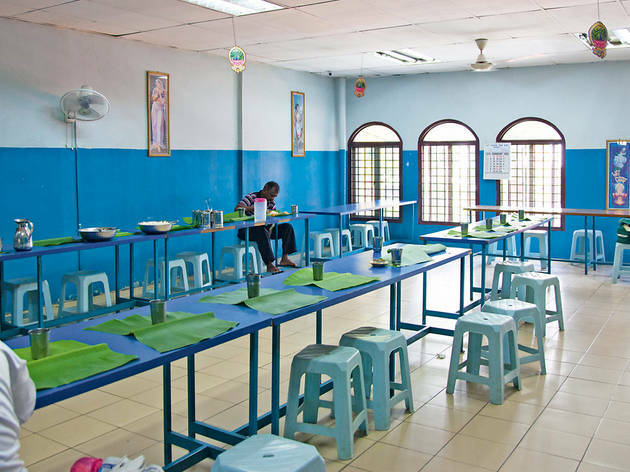 One of the best banana leaf experiences in the city hides within a dim first-floor lot along Lebuh Ampang. 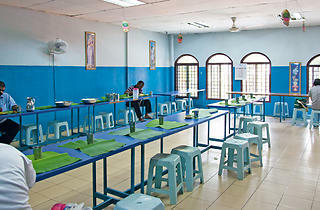 In 1962, the operation moved from Malacca to KL and has been a favourite of blue-collar workers in the area. They come in large groups and sit on long communal tables for (cheap) double helpings of rice and meat, a culture that’s still apparent these days. This mess concept here goes hand in hand with the Chettinad-style food promoted by owner SS Bharathi Rajah and his team. Not for the faint-hearted, the kudal (goat intestine) and mutton head curries are something of a legend in these parts, but if you’d prefer something tamer, the dry chicken varuval and thick, aromatic crab curry are just as outstanding. Be wary of the lime pickle; it packs a fiery, sour punch that’ll hit you in the gut if you’re not equipped with a glass of chilled mooru (spiced buttermilk) on the side.